While England’s Joe Root found the booing incident “surprising”, India’s Yuzvendra Chahal said that he was unaware about the booing incident. 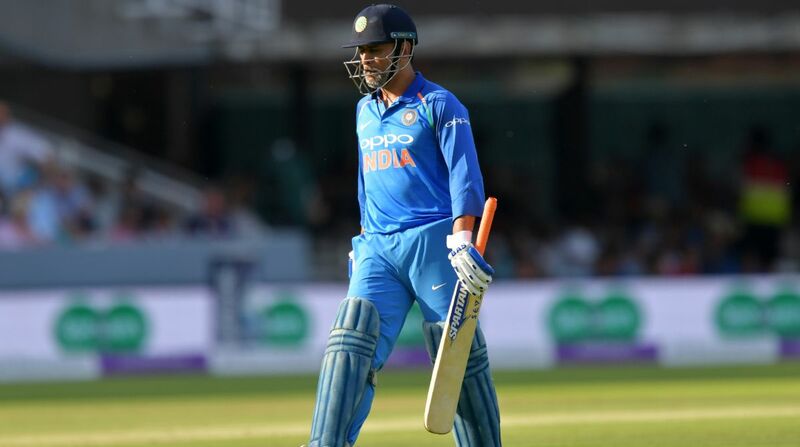 Senior Indian wicketkeeper-batsman MS Dhoni on Saturday reached the landmark of 10,000 runs in the One Day International (ODI). However, instead of appreciating his feat, Indian fans at the Lord’s booed former Indian skipper at the ‘Home of Cricket’ for his slow batting during the team’s 86-run defeat against England in the second game of the three-match series. On Saturday, MS Dhoni scored 37 runs off 58 deliveries and was widely criticised for not showing urgency. Now Dhoni reminds me of Gavaskar. If u see recent records Dhoni merely won a match for INDIA. He is good for nothing player now neither he is able to rotate the strike nor able to hit big. yday crowd booed Dhoni. “People just wait to jump on him (Dhoni). When it works, they call him the best finisher and if it doesn’t, they jump on him. Today (Saturday) was a bad day for all of us, not just him. He is experienced and the idea was to take it deep as you don’t want to lose by 150-160 runs,” Virat added. Meanwhile, while England’s Joe Root found the booing incident “surprising”, India’s Yuzvendra Chahal said that he was unaware about the booing incident. Before the start of the 46th over, the match was as good as over with 110 required off 30 balls. However, the crowd got restless when Dhoni failed to score off the first four balls of David Willey’s over. There was booing after every dot ball, a rare occurrence considering the huge fan base Dhoni enjoys around the cricketing globe. In fact, at the end of the over, substitute fielders Shardul Thakur and Axar Patel came in with an energy drink and replacement bat, which on-air commentators termed as a message to push things. Off the very first ball in the next over, Dhoni was caught at the deep mid-wicket boundary, trying a wild heave. Chahal, who came for the post-match press conference, however, said that there was no message from the dressing room for Dhoni to accelerate. “I don’t know what was said to him (when he changed bats). After Hardik was dismissed, there was only me, Siddarth Kaul, Umesh Yadav and Kuldeep. So it wasn’t like there were 2-3 specialist batsmen remaining,” Chahal said. While it didn’t concern the English team, Root did find it a bit surprising. “Yes (it was surprising), but ultimately it doesn’t really concern us. We always try and judge how we approach the game and how we go about things. We try to maintain a professional approach and be as ruthless as possible. We managed to see India through by bowling them out by the end of the game. So we are looking after our own game and putting ourselves in a strong position by the end of the game,” Root said.